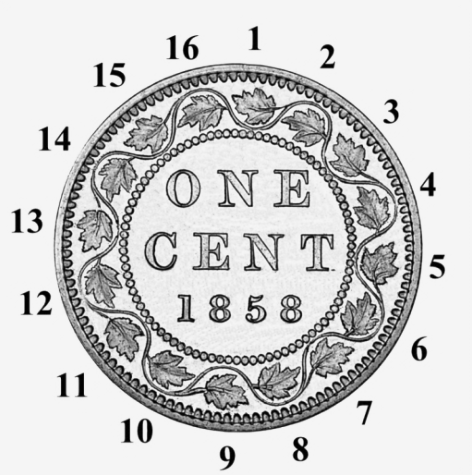 In order to fully understand the die varieties of the 1859 cents and how they arose, it is necessary to have some appreciation of how dies were made at the time, the problems that arose during their manufacture and how they were addressed. Three kinds of steel coining tools were involved in the production of the coins. As already discussed, the tools that actually struck the coins were the dies and collar. But, how were the dies themselves made? The beginning point was a tool called a matrix. 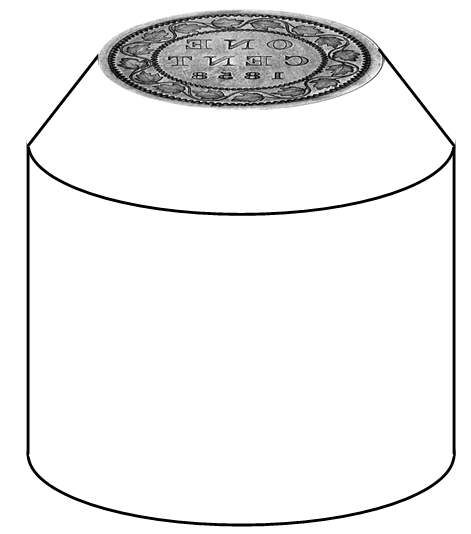 A matrix is similar to a die, in that the design on its face is opposite to that on the struck coins: it is incuse (sunken) and reversed, i.e., a mirror image. 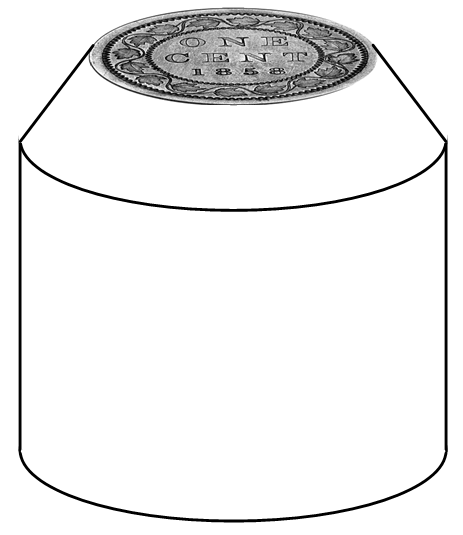 The second tool, a punch, has the design on its face in the same sense as the coins: raised and reading normally. The matrices and punches are collectively called master tools. At the time the Province of Canada cents were coined the preparation of the master tools was entrusted to Leonard Wyon, Engraver and Modeler to the Mint. He never held the title of Chief Engraver, because that post had been abolished with the death of his father, William Wyon, in 1851. Engraving a matrix for a new series like the Province of Canada cent involved much original work. There are various ways the Queen’s portrait and maple wreath could have been incorporated into the developing matrices for the Province of Canada cent. That particular aspect won’t concern us here, except to say that the maple wreath for the reverse was probably hand engraved at coin scale. The letters of the legends and digits of the date were added by individual letter and digit punches. The finished reverse matrix bore the complete date of the first year of coining, 1858. Once a matrix (M) was approved it was placed in a special press (more powerful than a standard coining press). Set opposite it was a plain soft steel blank cylinder (B) with a short cone turned at its top. Through multiple blows of the press the matrix and blank cylinder were forced together and the design on the face of the matrix was pressed into the face of the blank, transforming the blank into a punch (P). This process is represented graphically below. Despite the fact that two obverse punches were made, it is believed that only one of them was subsequently used. In other words, only one matrix and one punch were employed for each side of the Province of Canada cent. This will be important for the discussion to follow. 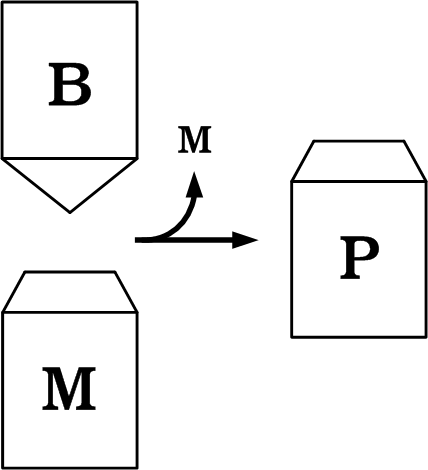 As illustrated below, dies were produced by impressing the design of the punch onto the faces of a succession of blank, cone-topped cylinders in a process similar to that which produced the punch from the matrix in the first place. The blank cylinders (B1, B2, etc.) thus became dies D1, D2, etc. The dies were turned with long necks so they could fit into the collar in the coining press at the moment the coins were struck. When they were new in April, 1858, the Provincial cent punches carried complete, undamaged designs. The reverse had a maple wreath with all loops and stems intact as well as the full date, 1858. However, as was typical at that time, small parts of the detail began to break off both the punches shortly after their use for die sinking began. We can take advantage of this, particularly with the reverse, to understand and organize the die varieties that resulted. Before describing exactly what happened to the reverse punch over time, we must have a system of numbering the leaves and the associated stems and vine loops in the maple wreath in order to refer to specific locations in the wreath. The first such system was devised by Alexander Watt in 1956 and was set up like a clock, with leaf 16 at the top and leaf 1 just to its right. However, a newer and better known system in which the #1 leaf is at the top (above the N of ONE) will be used here. It was used, for example, in the writings of Rob Turner.